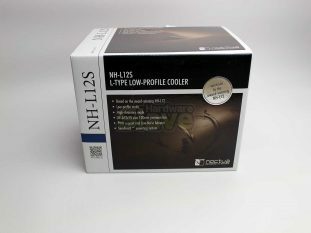 Noctua package the NH-L12S in their usual well thought out manner. 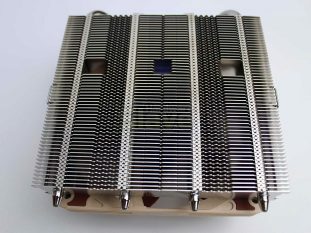 AMD and Intel are supported in one product, which also includes a handy screwdriver and some thermal paste, not pre-applied. 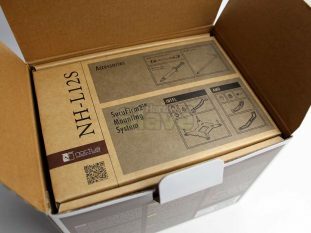 The NH-L12S is very visually striking, with the heatsink and four heat pipes being the dominant features. 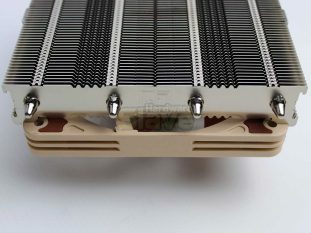 The Noctua NF-A12x15 PWM fan included is mounted underneath the heatsink out of the box, which is Low Profile mode. 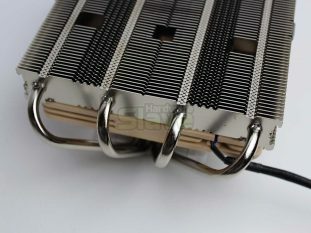 If you want more motherboard and memory clearance, you can switch the fan to the upper position, on top of the heatsink, which will give another 15mm of clearance. 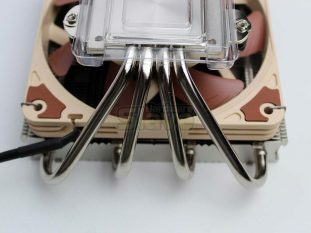 The Noctua NF-A12x15 PWM fan is thin at just 15mm, but its a 120×120 mm fan, so it can rotate at slower speeds, allowing for a better sound performance. 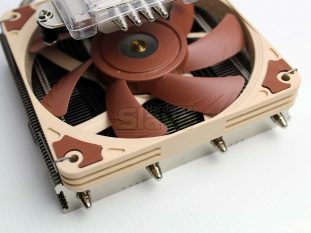 Also included is Noctua’s Low-Noise Adaptor (L.N.A. ), but we won’t use that for this review.